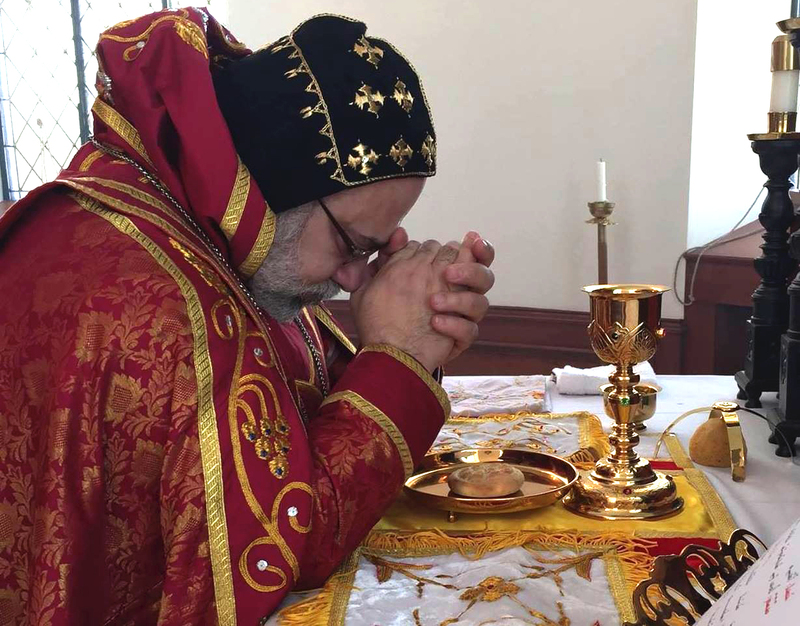 On Sunday, February 25th, 2018 and on the occasion of the Feast of St. Ephrem, His Eminence Mor Dionysius John Kawak celebrated the Holy Liturgy in the St. Aphraim Syriac Orthodox Church in Washington, D.C. He was assisted by Fr. Augeen Alkhouri, where he ordained Sub-Deacon Sinan Nabil Al-Faham as a full Deacon and called him Aphraim. 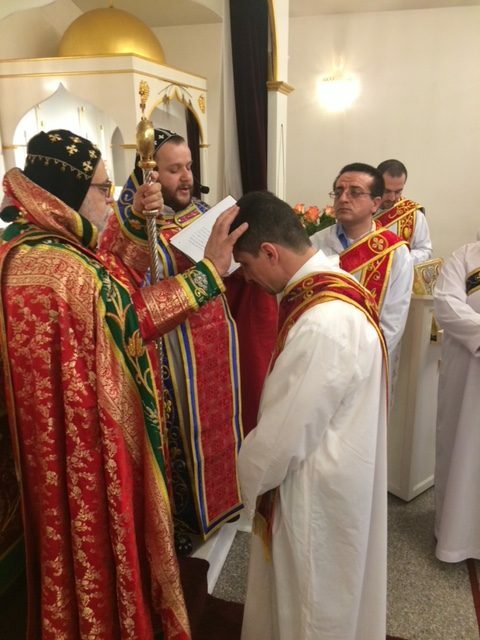 During his sermon, he congratulated His Holiness Patriarch Ignatius Aphrem II, those whose names take after St. Aphrem, and the faithful of the Parish.